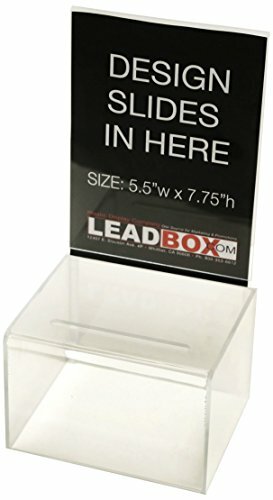 All Clear Acrylic box with a Clear Header to insert your artwork. Clear acrylic is very shiny and attractive. This box is a smaller counter style box that really combines the best of everything; affordable cost, convenient size, attractiveness, and visibility. This box is a true workhorse and will suit just about any needs, whether they are collecting leads, collecting donations or tips, and of course comments or suggestions. If you have any questions about this product by Prime Office Supplies, contact us by completing and submitting the form below. If you are looking for a specif part number, please include it with your message.